Dogs are classified in the Mammal Family under the order “carnivore” – or more simply meat eating. 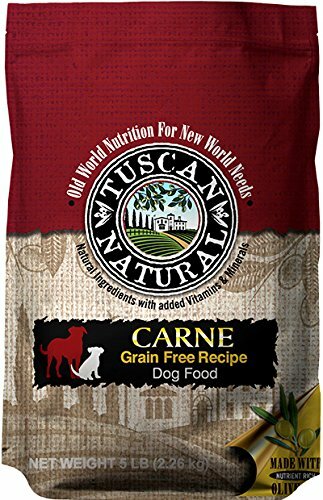 For those that want a diet more closely related to what a dog would eat in the wild with the convenience of a dry kibble, Pyramid Pet Products has developed Tuscan Natural Carne Grain Free Recipe. 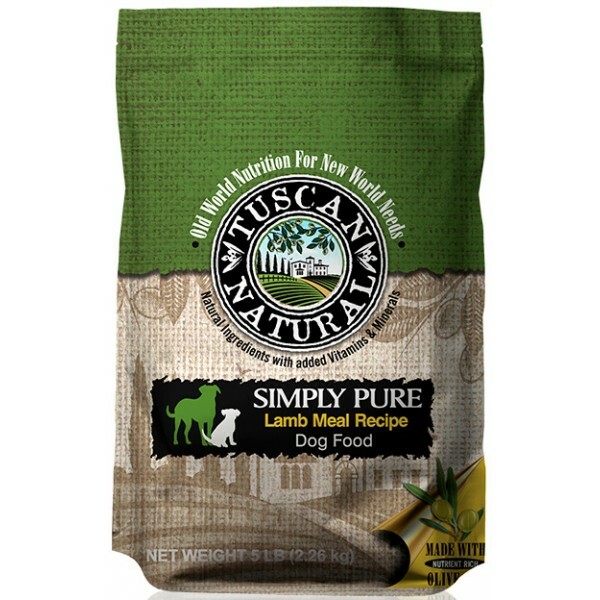 This high protein diet uses Humanely Raised Turkey and Chicken while removing the grains commonly found in other diets. 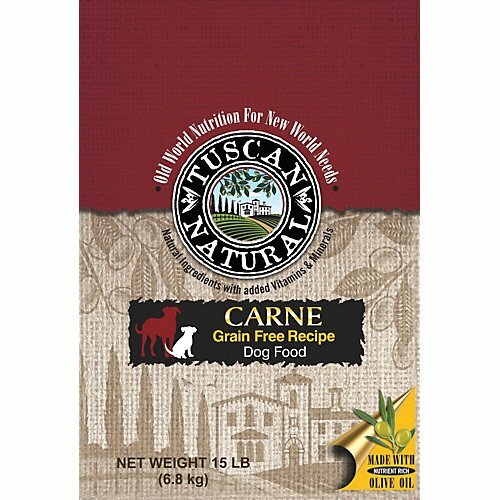 Modern nutritional knowledgeUsed only monounsaturated fats with EVOOAll-naturalGrain freeIf you want to start your weaned puppy on a kibble he can eat the rest of his life then choose Tuscan Natural Harvest Turkey and Chicken Recipe Dry Dog Food. 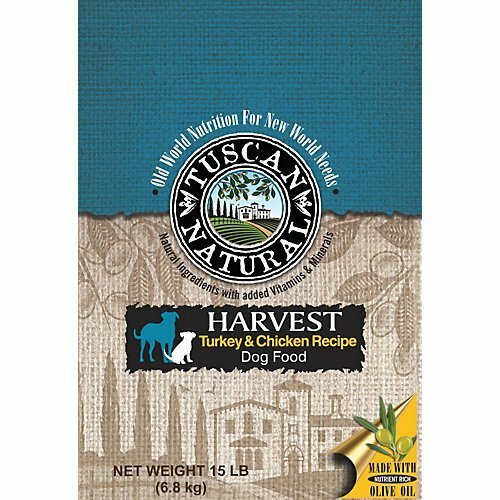 This dry food has been formulated to meet the nutritional levels established by the AAFCO Dog Food Nutrient Profiles for All Life Stages. This means you will be giving him a head start on becoming totally happy, healthy and energetic. 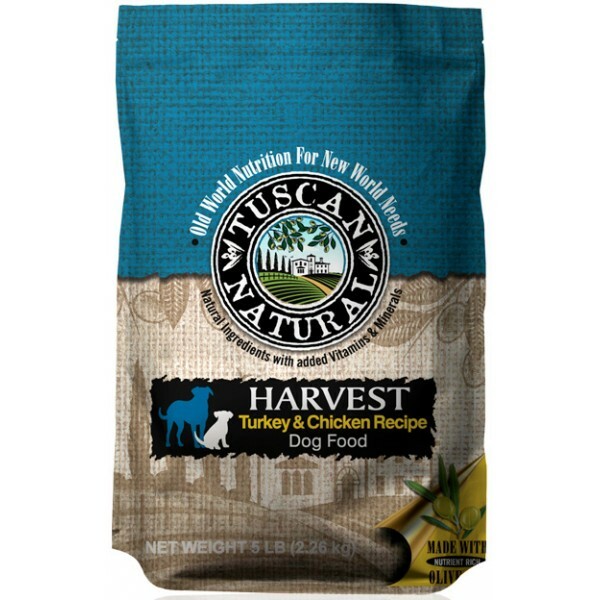 Because the source of protein is turkey and chicken, this dry food is low in calories, fats and carbs. He will grow to be a lean, muscled canine with bright eyes and a healthy coat.Whether you are feeding an adult dog, a senior or a puppy, you will notice that they will become fuller on less food. 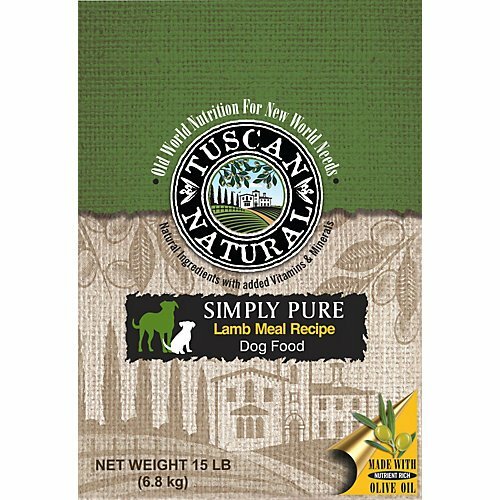 This is because this dry food is dense with good food and nutrients. It takes less food to get them full and they remain full for a longer time. They will not beg for any between meal snacks. 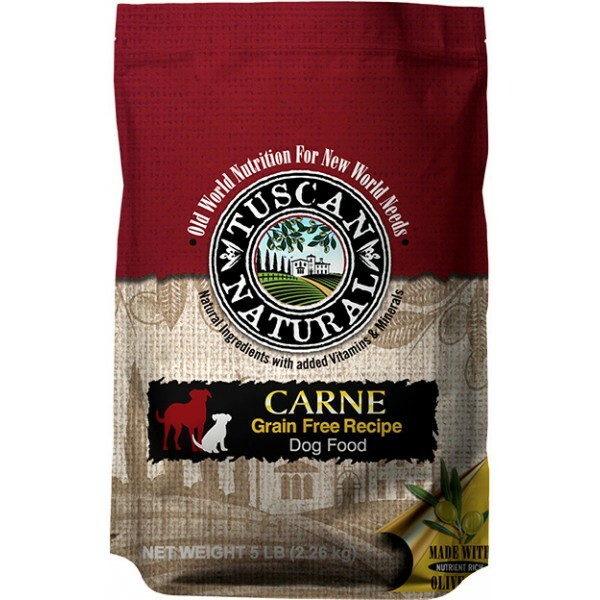 Because it is grain-free, there are no ingredients that can upset your dog’s digestive system. For longevity, plenty of prebiotics and probiotics have been added. 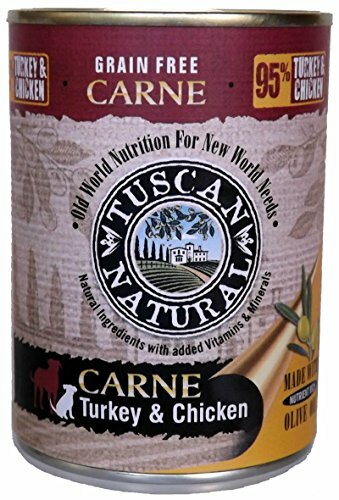 Tuscan Natural Carne Grain Free Canned Dog Food is great for people that want to supplement their kibble or just feed canned food to their dogs. 95% Turkey & Chicken Meat. Supported with Olive Oil. Grain FreeThey are 95% meat and 3% Olive Oil â€" which doesnâ€TMt leave much room for improvement. You will also notice that they are Grain Free. Like magic, olive oil actually promotes protein absorption. That means your pet is getting much more out of every bite. In scientific terms, it actually increases pancreatic enzymes, giving your pets the ability to access and use more of the nutrients and protein in their food. This results in a far better metabolism and an impressive increase in energy.Olive oil also serves as an essential source of antioxidants, reducing the risk of cancer and diabetes. Add to that, itâ€TMs so darn delicious; pets go absolutely bananas for it! The food pyramid is more than just a guideline for us. It’s the basis for our delicious recipes, such as Harvest Turkey and Chicken for Dogs. We cover the nutritional bases with Humanely Raised Meats such as turkey and chicken, Add in Sustainably Farmed kelp, apples, carrots, blueberries, peas, lentils, flaxseed oil, and nutrient rich extra virgin olive oil from Old Growth Trees. Our rich balance of healthy ingredients, along with some added prebiotics and probiotics, ensure your dog will be in excellent shape for many years to come. 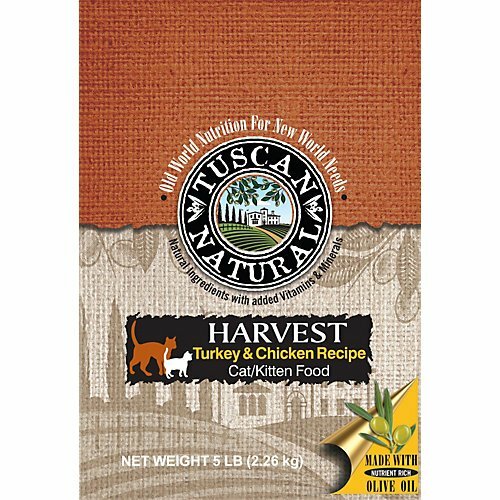 Tuscan Natural Harvest Turkey & Chicken Cat Dry Food from the beautiful region of Tuscany in Italy sprung a vision and a goal by Tuscan Natural pet foods. Knowing the benefits of olive oil in the human diet, Pyramid Pet Products translated the value of using olive oil in pet diets. They wanted to combine old world philosophy with new, real world needs for pet owners. 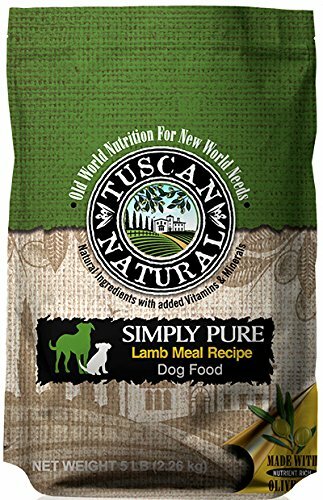 Thus began a desire to create pet food that combined fresh meats, whole grains, fruits, vegetables, added vitamins and of course, Extra Virgin Olive Oil. When you evaluate the ingredients in any of their products, you will see that they choose meat sources like turkey, chicken and herring with none of the grain fillers found in many other brands of car food.